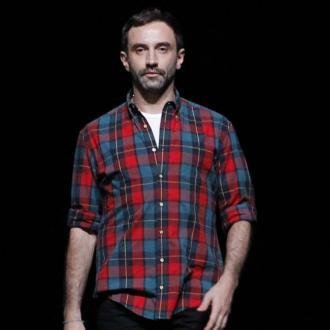 Riccardo Tisci's celebrated his 40th birthday two years ago in Ibiza, Spain, with his close friends and family and has revealed it was the ''most beautiful night'' of his life. Riccardo Tisci's 40th birthday was the ''most beautiful night'' of his life. The 42-year-old Italian fashion designer - who is the Creative Director of the luxury fashion house Givenchy - has admitted his favourite annual celebration was two years ago, which saw friends, colleagues and family from ''all over the world'' jet to Ibiza, Spain, to mark the milestone with a ''last minute'' party. Speaking to W magazine about his favourite festivity, the creative mastermind said: ''My 40th birthday two years ago. ''I was supposed to not be celebrating, then I decided to celebrate in Ibiza. It was last minute party. And it was not expected. So many people came from all over the world to celebrate my birthday. Despite planning his bash late the Central saint Martin's alumni was grateful to be joined by all the people he cherishes dearly in the place he loves the most. Meanwhile Riccardo- who collaborated with the sportswear giant Nike in 2014 and launched a vintage range of Air Force 1 trainers - has admitted he was surprised his first collection was as successful. And Riccardo - who has recently collaborated with the sportswear giant Nike for a second time on a new collection called NikeLab x RT: Training Redefined, which is aimed at the Olympic competitors - has revealed the new line forced him to change his approach to designing.